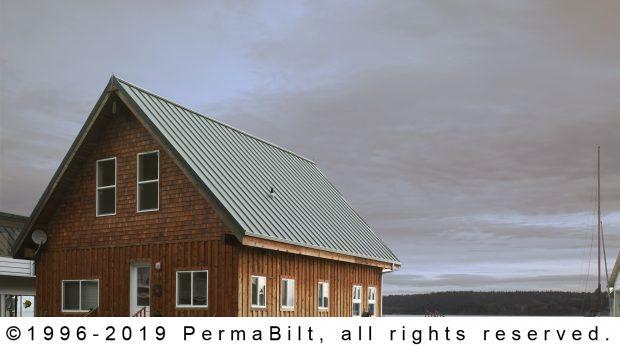 Having built over 20,000 buildings in western Washington, one of PermaBilt®’s strengths is understanding how each customer has different needs. No two customers are ever the same nor are their buildings. We are always ready to customize a building to the wants of our customer. 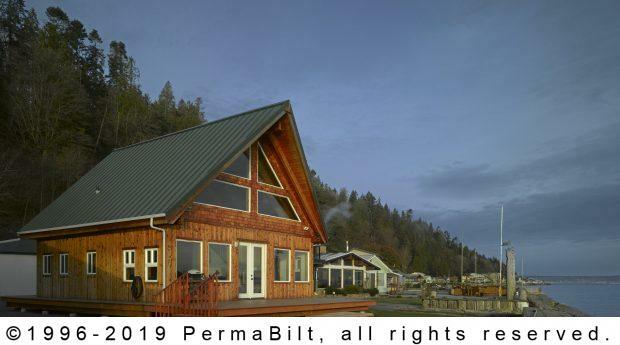 So when a customer came to us—having constructed a building for them in the past—asking to rebuild a cabin on Camano Island Washington, they knew we were up to the challenge. In following the client’s very custom design, we worked with him and other vendors in putting his vision together. One aspect of his design was constructing the quite beautiful tongue & groove ceilings. 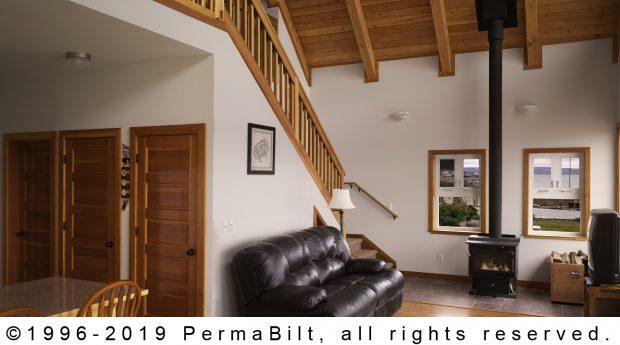 This ceiling create a decorative focal point to any room. 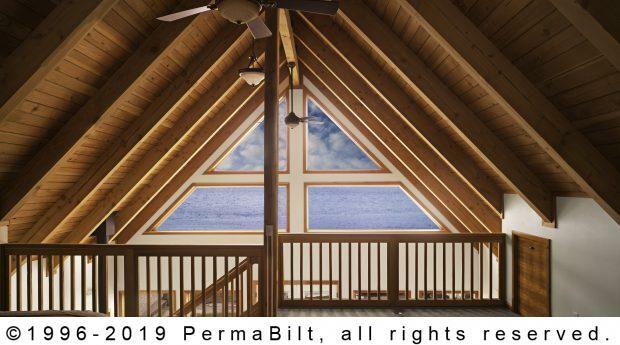 As seen on the second floor, overlooking the Sound through gable windows, the post and beam construction added a layer of rustic beauty to the cabin. And per the contract, all windows and doors were added in per our customer’s vision. 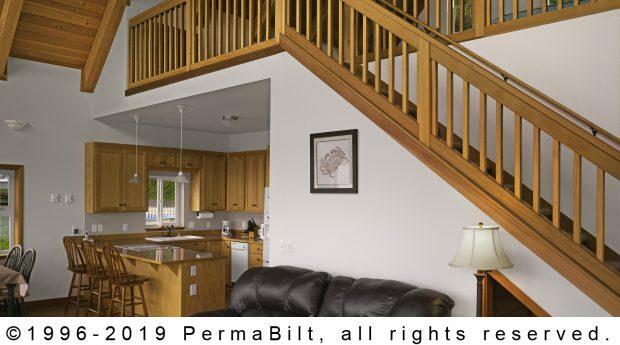 As mentioned before, we had built a previous building for our Camano Island customer and after completing this building we ended up constructing more buildings for numerous members of his family.